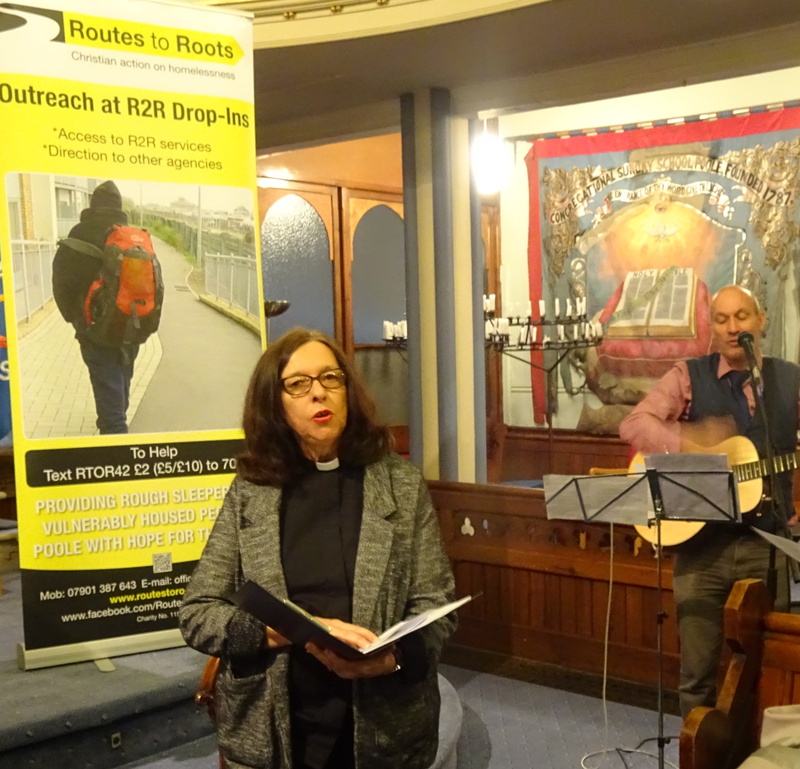 We were delighted to welcome nearly 80 people to our service at which Bishop Karen Gorman spoke movingly on the increasing problem of homelessness. She recalled how back in the 70s the vision was to eradicate homelessness but with changes in Government policy from the 80s this was still a dream. Bishop Karen spoke of the wonderful work being done in Poole through projects such as Routes to Roots and thanked all the volunteers for the work that they do as if we all did not do the work of Christ who would. The Bishop also spoke of the importance of speaking out and drawing the attention of decision makers to what things are like on the streets of Poole. 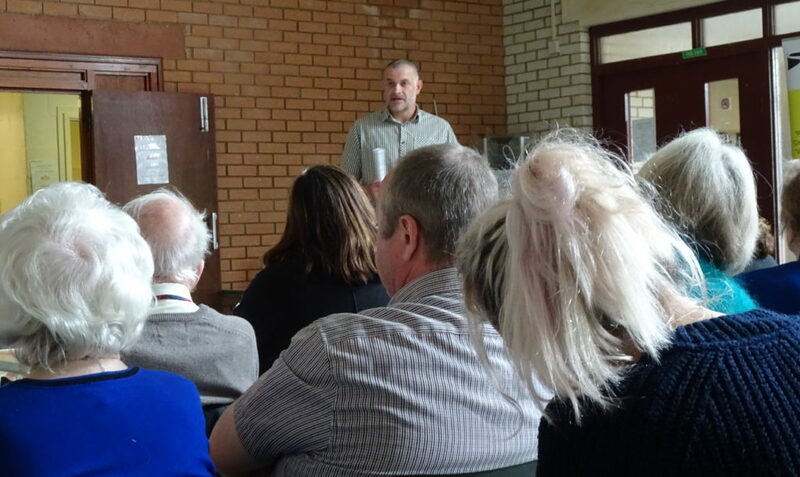 During the service Kate, one of our Trustees, updated everyone on what is happening at Amos House, our supported accommodation for three former rough sleepers. It is just about a year since they moved in and things are going well.